On Saturday, Duke had two commitments play in the annual Tennessee East-West All Star Game in Jefferson City, Tennessee. Lucas Patrick suited up for the West, while Cody Robinson took the field for the East. 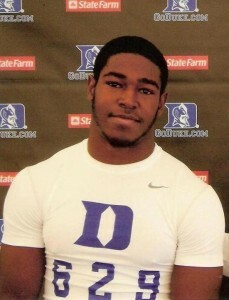 Fellow Duke commit Nick Hill was invited to play, but unable to attend. Blue Devil Nation was able to catch up with Cody Robinson just before he took the field to get his thoughts on his recent official visit to Duke and his senior year. 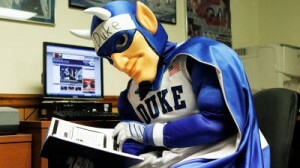 BDN: Can you recap your recent official visit to Duke for us? The visit – it went great. I had a great time and met a lot of great people. BDN: Can you talk about your relationship with the other offensive line commits? I know all those guys now – Lucas [Patrick], Carson [Ginn], and Marcus [Aprahamian] and Matt [Skura], all those guys are really good guys. They’re really good players and great people. BDN: Who was your host for your official visit? 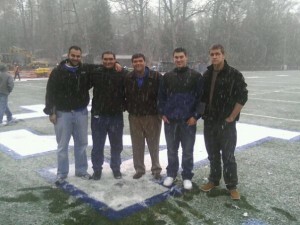 BDN: Did you get to spend some time with the Duke offensive linemen and coaches? I spent a lot of time with them. 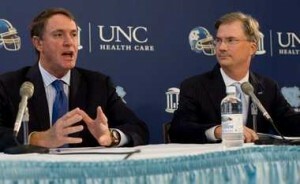 I met with the coaches and went out with the players, mostly the offensive line. It was really good. BDN: What do you and the coaches expect your role to be at Duke? Right now, I’ll be playing left guard most likely. As far as my role, we’ll see when I get up there. I mean just make the older guys better, learn the system, and try to contribute in any way I can. BDN: Can you tell us a little bit about your experience at the Tennessee East-West Game this week? It’s been a lot of fun. There are a lot of good players up here and it’s been really good. Yesterday we got to go to the hospital and spend time with the kids, which was a lot of fun, just to see them happy. BDN: Are there any other Duke commitments or prospects at the game? Lucas Patrick is up here. Nick Hill was supposed to be up here, but he didn’t make the trip. Cam Clear isn’t at this game, I think he’s playing basketball, but I’ve been keeping a close eye on him, encouraging him to…well, come to Duke. BDN: How did your senior year end up at Warren County? The team had some trouble, you know, we ended up 3-7, and it was a growing year. 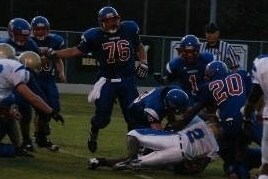 I had a good year, I ended up with just over 100 tackles and some sacks and tackles for loss. On offense, I averaged grading out in the 90s, so I had a good year on offense too. BDN: What are your plans for the offseason? Just working out and stuff. Working on getting stronger and faster. I’ll start track – shot put and discus - probably the end of February. BDN: Thanks so much, Cody, and best of luck in the East-West game. David Cutcliffe and the Duke coaching staff secured another commitment from a top prospect out of the state of Tennessee on Friday, as 6’4” 305 pound Cody Robinson announced his decision to join the Duke program. Cody made his announcement at noon central time in the Warren County High School gymnasium. Duke was the first program to offer a scholarship to Cody, and he has formed a good relationship with the coaching staff over the past several months. Cody attended a Duke camp in June and also visited Durham for the Alabama game last weekend. 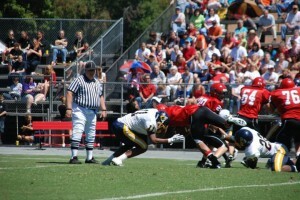 His father played on the offensive line at Tennessee under Coach Fulmer, a close friend to Coach Cutcliffe. Cody is the fifth offensive line commit for the class of 2011, joining Marcus Aprahamian, Lucas Patrick, Caron Ginn, and Matt Skura. For more on Cody, please see our recent interview and view his highlight video. 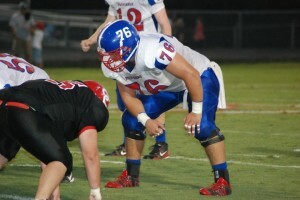 Cody Robinson is a 6’4” 305 pound offensive guard from McMinnville, Tennessee. He recently visited Durham to take in the Duke vs. Alabama game and BDN caught up with him to get his thoughts on his visit and his senior year. “The visit went really good. 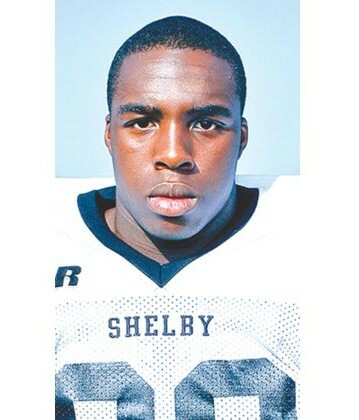 I really enjoyed talking with all of the coaches and the players a lot,” he said. The visit to Durham capped off what has been a busy few months, and Cody will announce his college decision on Friday at noon at Warren County high school. Warren County has started their season with a 2-3 record, getting a big win last week. “We definitely have some issues with being young and starting seven freshmen,” Cody said, “but we just got a big win.” As a senior team captain, he’s been piling up the tackles so far this year, and said that the offensive line has had a pretty good year so far. 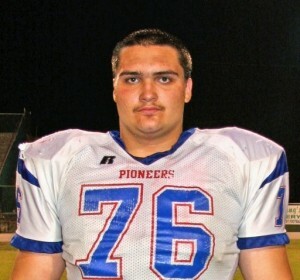 Cody holds scholarship offers from nine schools, and has received interest from many more. Duke was the first to offer and has been recruiting Robinson the longest; Kentucky was his most recent offer, which came in June. 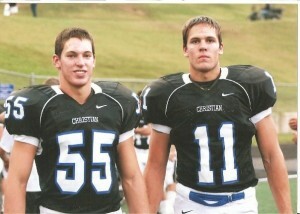 Over the summer, Cody attended camps at Kentucky, Tennessee, Duke, Arkansas, Middle Tennessee, and Vanderbilt. He also fit in trips to Memphis and Syracuse. Cody also holds scholarship offers from Western Kentucky, Tulane, and Chattanooga. Cody’s father, Ray Robinson, was an offensive lineman at Tennessee under Head Coach Johnny Majors and Offensive Line Coach Philip Fulmer in the mid-1980s. 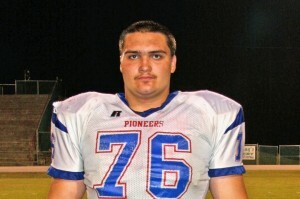 Cody has lived up to his father’s legacy, becoming one of the top offensive line prospects in the state of Tennessee. The program he chooses on Friday will be getting a good football player and a very good young man. BDN Premium will focus on Duke Football recruiting efforts and we promise to bring you the same quality as our basketball offerings. Join BDN Premium now and don't miss the latest recruiting information. A one years membership costs just over a quarter a day for great coverage of the athletic programs from a behind the scenes angle. Cody hasn’t finalized his summer plans yet, but intends to attend camps at Vanderbilt, Tennessee, Duke, and Arkansas. He’s looking to find a school where he fits in with the players and coaches, and hopes to further evaluate that during camps and other visits. Currently, Cody holds 8 scholarship offers, from Duke, Vanderbilt, Syracuse, Memphis, Middle Tennessee, Western Kentucky, Tulane, and Chattanooga. He’s also been in contact with coaches from Tennessee, Georgia Tech, UCLA, and Arkansas. Location will not be a big factor in Cody’s decision, once he finds the school that is the perfect fit, whether it’s from the SEC, ACC, or PAC-10. Duke and Vanderbilt have been recruiting him the longest, and he has visited both campuses. He has also recently visited Illinois, Tennessee, Middle Tennessee, Western Kentucky, and Kentucky. On his visits, he’s found a couple schools that stood out because he felt he “naturally got along with the people there,” but he’s not ready to declare a leader. From the Duke staff, he’s been mostly in contact with offensive line coach Matt Luke and is looking to finalize his choice before his senior year. BDN Premium Football offerings are free until the end of April.